I was nominated by my beautiful and amazing friend Meaghan to participate in the #icebucketchallenge for ALS. I’ve been wondering how long it would take to get around to me. I’ve also been wondering what I would actually do when I did receive that challenge. Now, what I’m about to say may offend some, even though I am not commenting on any one person or their choices. #hatersgonnahate . Quite honestly though, I think the whole movement has become a bandwagon sensation. We’ve lost sight of what it means to be joyful givers, and we’ve turned what should be a humbling experience into a joke and a gimmick. According to Alexandra Sifferlin at TIME, (http://time.com/3136507/als-ice-bucket-challenge-started/) the origination of the ice bucket challenge started as a joke among friends, and later, charitable donations were tied in. Eventually the challenge was linked with ALS and that community has certainly used the ice bucket challenge to spread the word, raise awareness, and raise funds for research and efforts to combat this terrible disease that afflicts so many. So ultimately one organization has been able to latch onto this gimmick and has so far raised over $15 million for their cause. This is amazing, and there is nothing wrong with supporting that charity if that’s where your heart is telling you to donate! 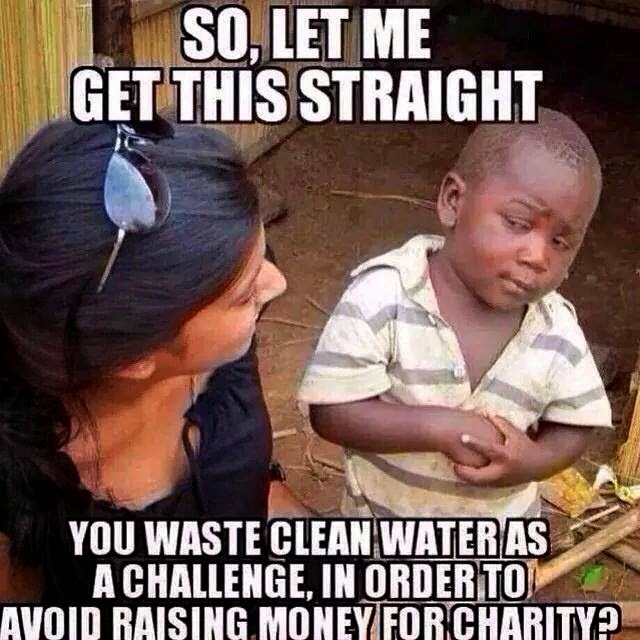 However, why not reopen the challenge to any charity of one’s choice as the challenge originally started? How much more good could we do for the world if our efforts were not limited to one need? Oh and I’m sure we’ve all seen this meme running rampant right now as well! So instead of wasting perfectly good clean cool water on your silly little head, why not give water to people who need it? There are organizations that provide vital, life-saving water to villages in developing nations that truly need it! http://www.waterforsouthsudan.org/take-action/ or http://thewaterproject.org and so many more! 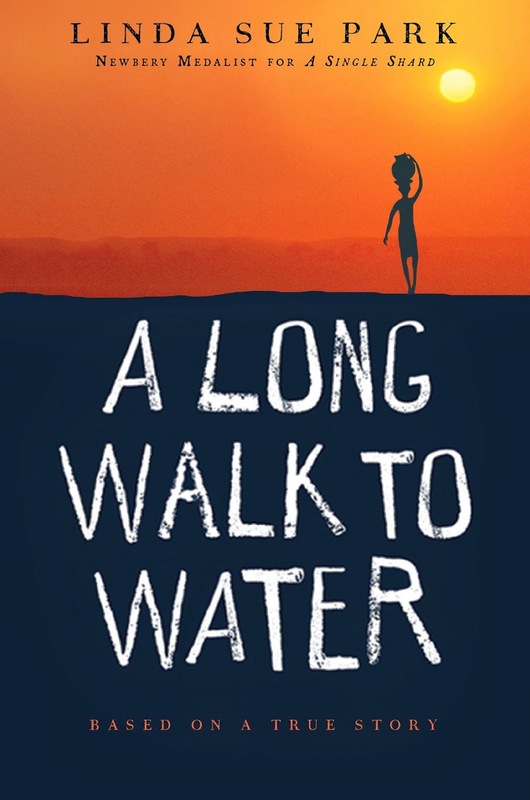 Ever read, A Long Walk to Water by Linda Sue Park? It’s well worth the day it would take you to read it, and it shows how something as simple as water can bring an end to a conflict that has divided people for countless years! Water is precious, and scarce in more places than we take the time to think about, and here we are throwing it over our heads…to avoid giving to charity. 2 Corinthians 9:7 says Each of you should give what you have decided in your heart to give, not reluctantly or under compulsion, for God loves a cheerful giver. The ice bucket challenge demands you pay up to the tune of $100 to the ALS Foundation, or dump ice water on yourself and give only $10. Accepting the ice bucket challenge says 1. I can’t give $100 or 2. I choose not to give $100. Or I guess there’s option 3. I’m just seeking attention. But, what if? What if we just gave, humbly and joyfully where God calls us to give, in whatever amount or service He asks us to give of ourselves? You see, the ice bucket has gotten in the way. Be careful not to do your 'acts of righteousness' before men, to be seen by them. If you do, you will have no reward from your Father in heaven. So when you give to the needy, do not announce it with trumpets, as the hypocrites do in the synagogues and on the streets, to be honored by men. I tell you the truth, they have received their reward in full. But when you give to the needy, do not let your left hand know what your right hand is doing, so that your giving may be in secret. Then your Father, who sees what is done in secret, will reward you. Don’t misunderstand, it’s not about receiving some kind of credit or reward in the end, but let’s get back to the true spirit of giving. Giving without expectation, and without a show. Giving that is purely meant to do good for others, and with nothing in it for ourselves. That’s my challenge for everyone! No, I will not be calling people out by name. I am challenging everyone that reads this to prayerfully consider where and how they should give, then step out in faith and follow-through. No ice water necessary, no social media announcement required. Just a simple act of faith and good will in whatever capacity you decide. WARNING! : This will be a LONG post. Let's face it, blogging dropped off the planet for me while I finished up the school year. I have begun to realize that blogging truly is a full-time job. It is not MY full-time job however...in fact, I don't get one cent for my blogging so until that changes I will prioritize my day-job. Don't worry though, I've had my share of adventures in my months of absence and recently I've been living the sweet n' chic summer life! Life was particularly sweet over the last week for a couple reasons. 1. 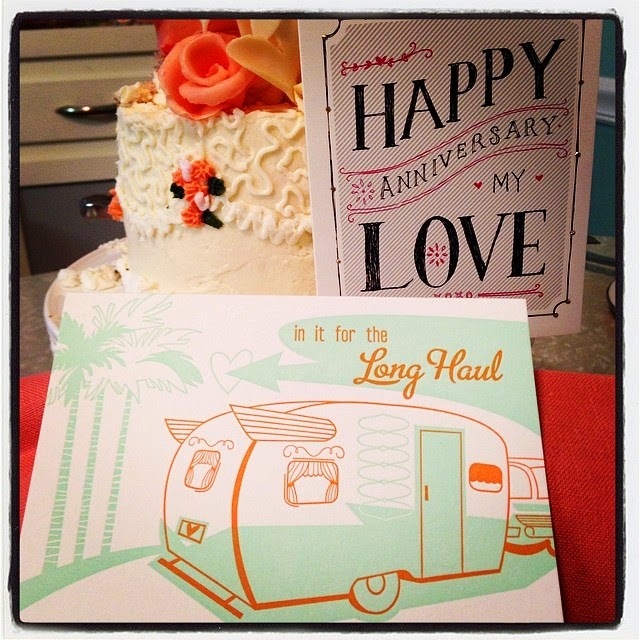 Corey and I celebrated our first anniversary! 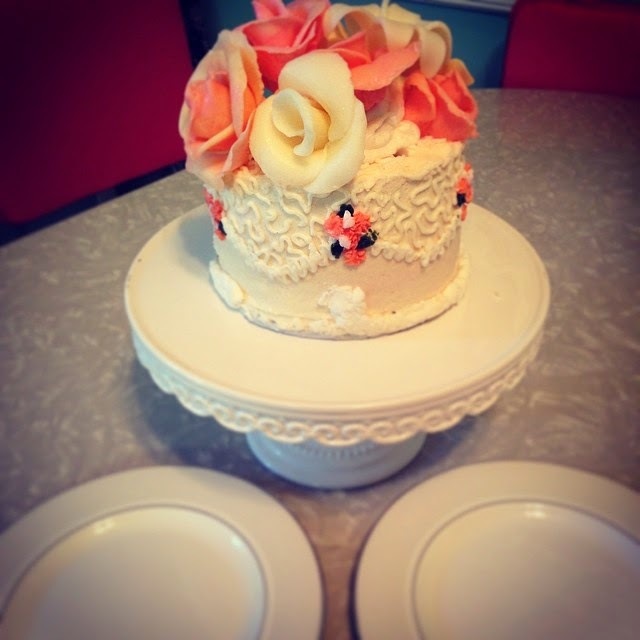 Top tier from our wedding cake. Shopped at the same store for our cards. He ended up getting me the other card I almost got him! I swear we shopped separately. 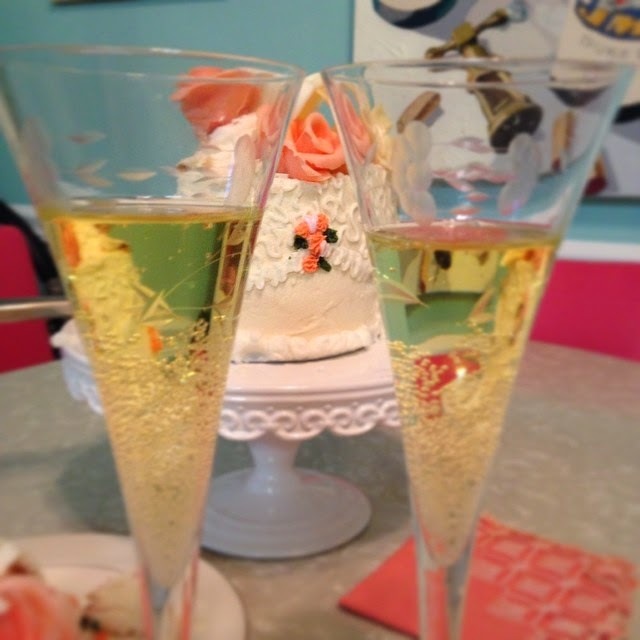 Cheers to a beautiful first year! The best is yet to come! 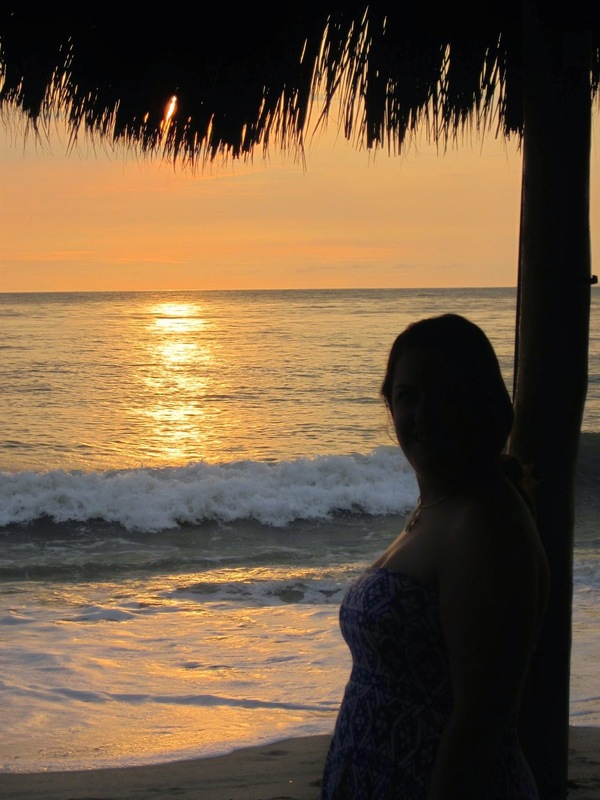 Dear friends of ours presented us with an amazing opportunity to spend a week vacationing with them in Puerto Vallarta. It was an offer we just couldn't refuse and the timing was perfection as it was the week we spent honeymooning last year so it was a great first anniversary trip for us! While on vacay we stayed in the beautiful Grand Venetian...the apartment was bigger than our house! The view from one of 4 pools! We soaked up the sun pool-side, went snorkeling, hiked through the jungle to a waterfall, made friends with the locals, and drank/ate our way through town! It was a week full of relaxation, good eats, good drinks, and great people! The little cove where we snorkeled! Our fishy friends. So fun to swim with them. We saw eels, and these weird jellyfish creatures that don't sting you (but they sure freaked me out bc they were EVERYWHERE). Our awesome guide also dove down and brought up seastars and sea urchins for us to see and hold. After snorkeling we trekked through the jungle to a waterfall. 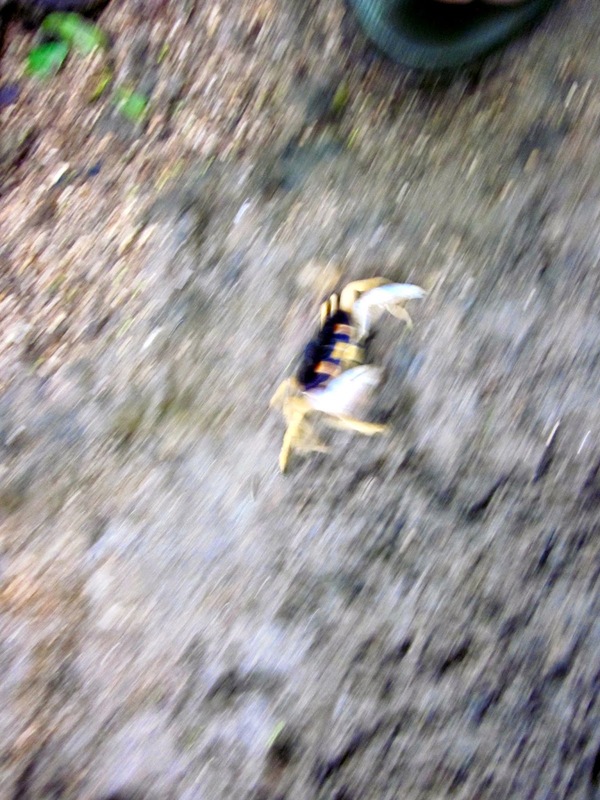 It was muddy, muggy, and I kept getting attacked by these "ninja-crabs" as I have named them. They live in the mud walls, and as I walked through they would pop out and come flying down the wall at me! There was lots of squealing! We had several doggie friends guide us along the path. If only we could have brought them home...some were so intent on journeying with us even though they were too little to make it across some of the streams on their own, so we'd carry them. Sometimes the bigger dogs would help them too! This was our guide for the day. He's awesome! Needless to say, that was a bit of a hike for me. And yes, I held it! And yes, we did tip him...a little bit. Returning to the little fishing town of Boca de Tomatlan where our day began. Did someone say $1 margaritas? Sea Monkey's on the beach in El Centro. We were just putting our feet in, but the ocean decided we needed a swim. Pirate ship in the sunset. The seahorse is the symbol of Puerto Vallarta. Here's a look at what I've been up to this week for the Etsy and IG shop! This next one however, is a PERFECTION of a confection! 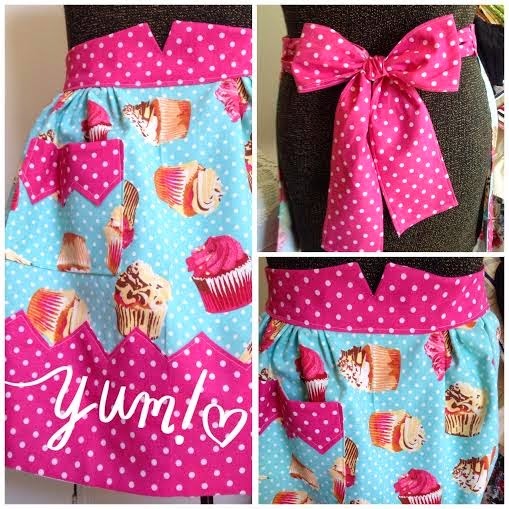 I call her "Little Miss Cupcake" and she is precious! Want her? Head on over to my Etsy store! I have officially opened an Etsy store! 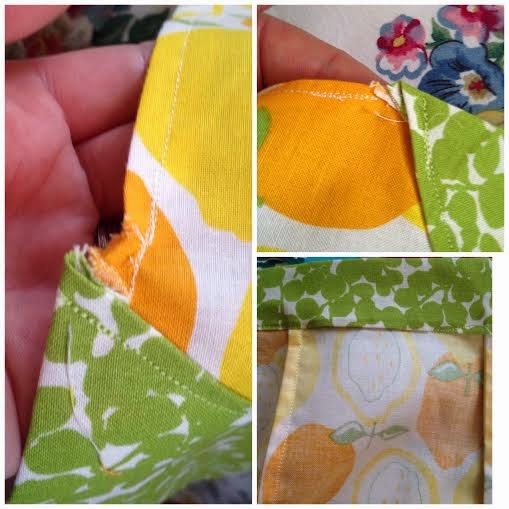 It's called SweetTeaques and while I'm just getting started, I hope you'll join me on this journey and share your favorite shop finds with others! 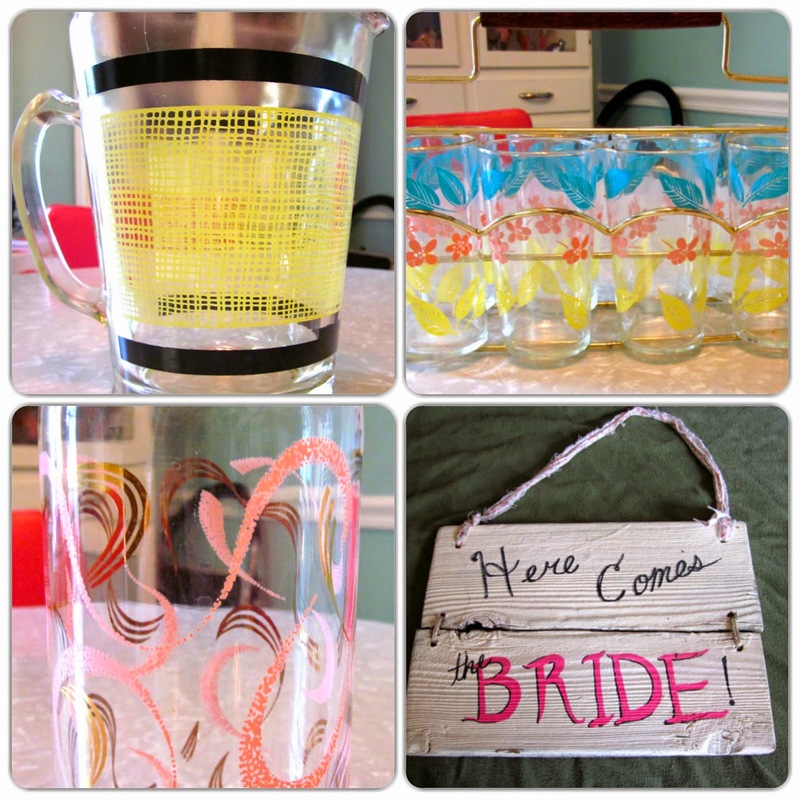 Items for sale include vintage kitchenware and glassware, as well as hand painted wedding decor! 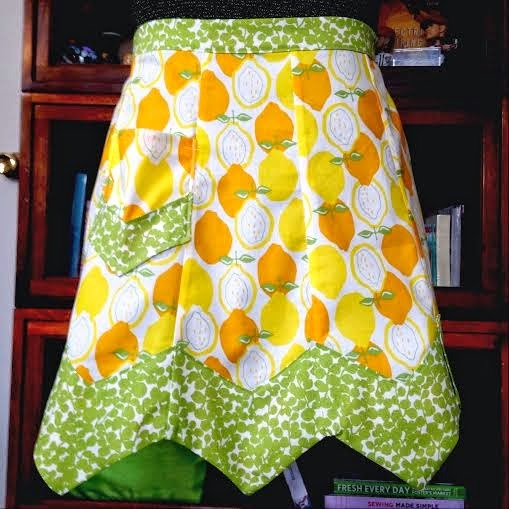 Since it's Spring Break and I finally have some time for my own creative projects, I'm hoping soon to get several more handmade vintage style items up for sale. 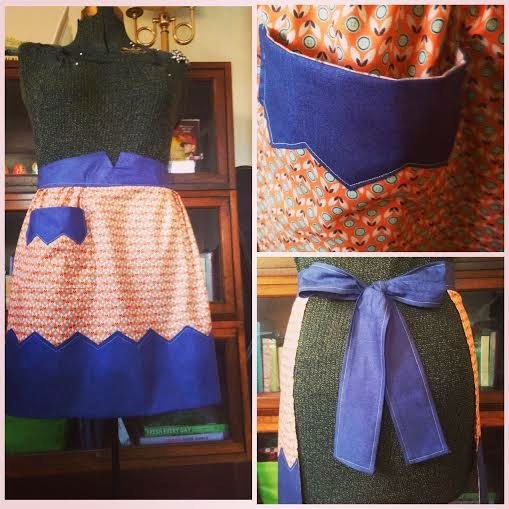 I spent today hand crafting this vintage-style apron (made from a vintage pattern) and can't wait to create oh so many more! Here's where I need your help! Follow my shop on FB, and Favorite my store on Etsy. Also follow my shop on Instagram @sweetteaques. 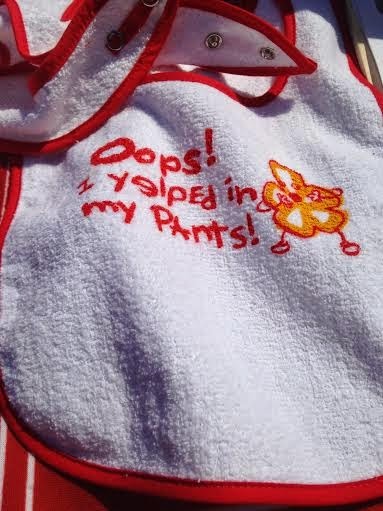 Help me get to 200 FB and IG followers and I will GIVE AWAY one of these vintage-style cuties! 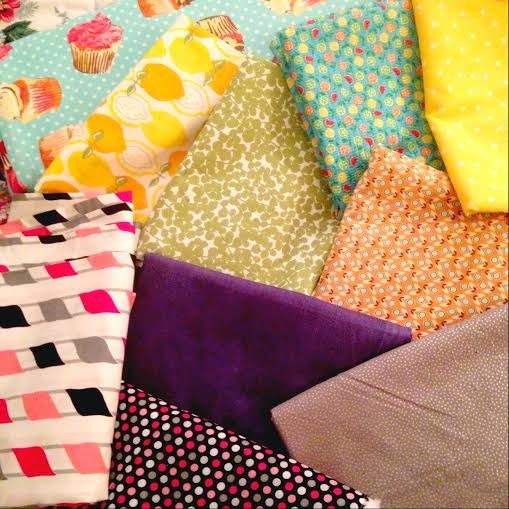 Look at all these fun fabrics I have to create lots of sweet little aprons! 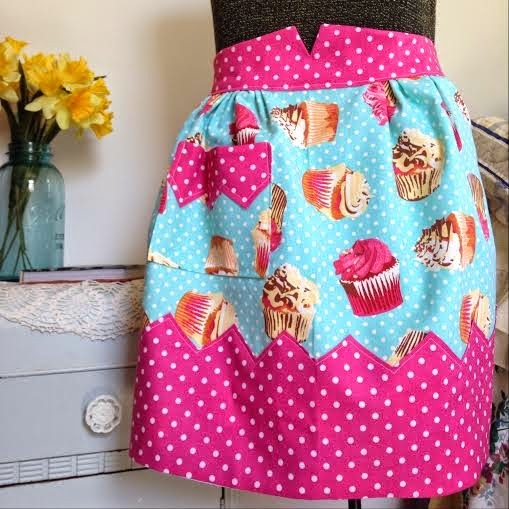 Some are vintage fabrics, most are not, but the pattern is vintage and the end result is just darling! Let's get that Give Away started soon! Today was a GORGEOUS opening day for the District Flea in DC. Gorgeous as it was, the wind was trying its hardest to keep shoppers and vendors at bay. Tents were blowing away, racks of beautiful vintage clothing were blown over, and I even heard some smashing glass at one point. Some vendors didn't stick around, but several stuck it out and were able to make it work, and I'm so glad they did because I snagged some awesome items! Bought these BEAUTIFUL succulents from a local florist at the market. 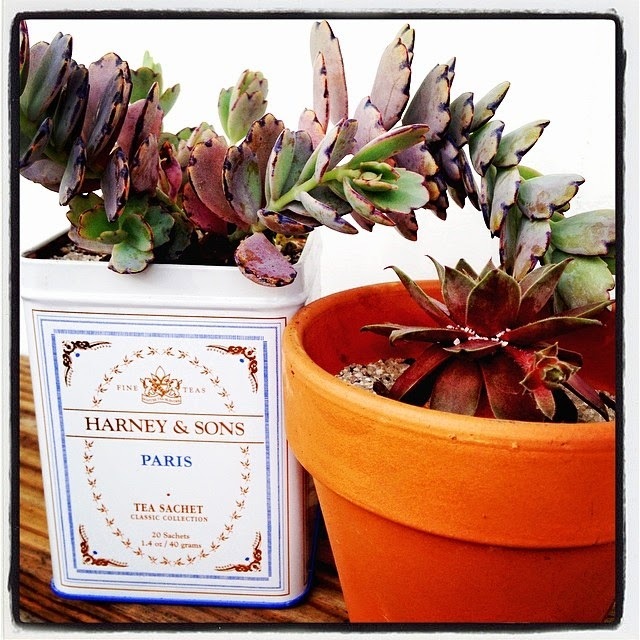 Finally able to put my pretty tea tin to good use! I knew I just couldn't throw it away! I feel awful I don't remember the vendor name, but I will definitely get that info next time I go back! 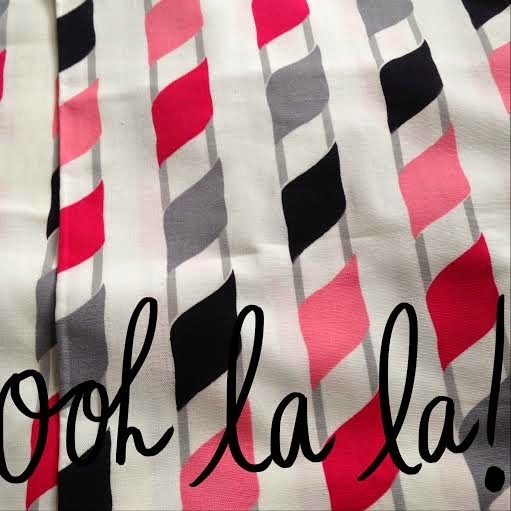 Stay tuned to see what I've got in store for this gorgeous textile! 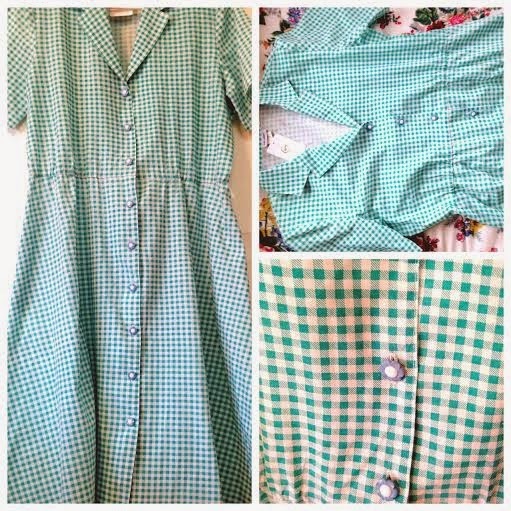 Can't wait to get dolled up in this vintage cutie! Thanks Gypsy de La Lune! 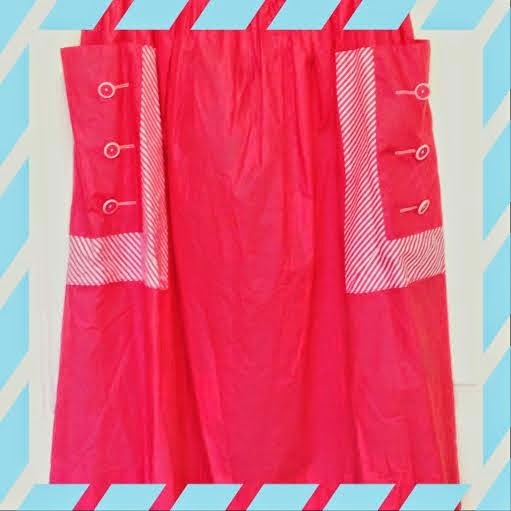 I will be pretty in pink dining this vintage skirt! Also courtesy of Gypsy de La Lune! 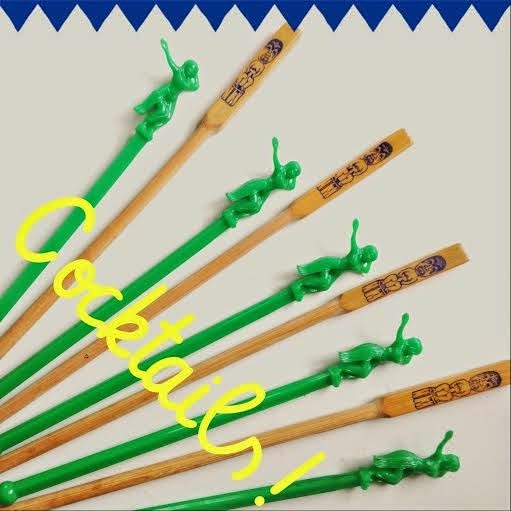 Summer is on it's way, and these tiki themed cocktail stirrers will get it going! 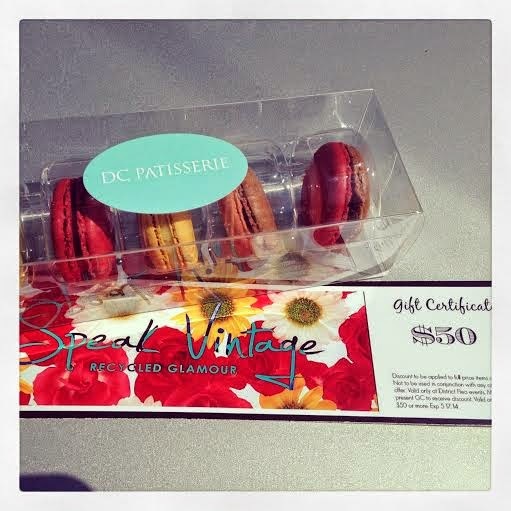 Free macaroons from DC Patisserie and a $50 gift certificate to Speak Vintage! Perfection! Whew, made it through another week, and I apologize there was no Monday Must-Haves. I can't tell you where the time went. 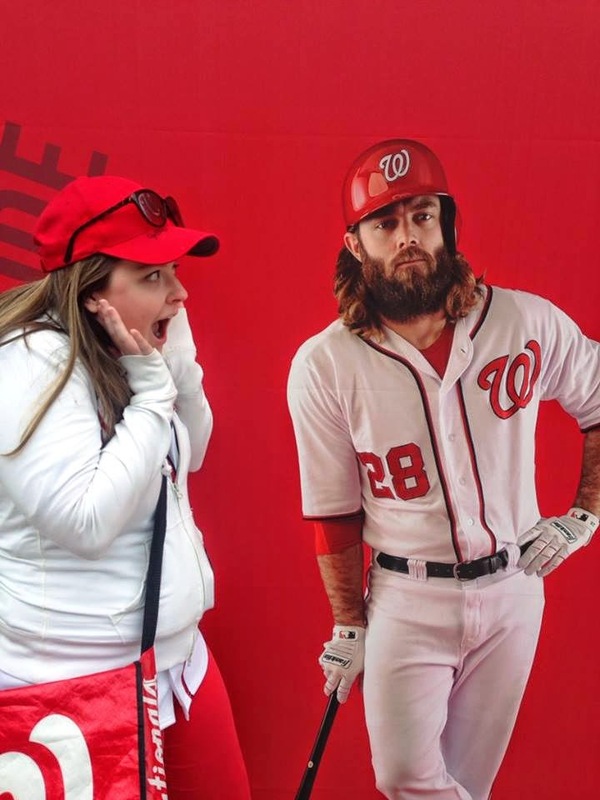 I am excited to announce though that Spring has emerged, and we kicked things off today in style at the Opening Day at the Washington Nationals Stadium! (Yup, we were at a ballpark and not work today...everyone needs a personal day though!) Even though it was chillier than we would have liked, and dreary with the overcast conditions it was great to be back in that stadium eating popcorn, drinking lemonade and cheering for my guys! Looking forward to an awesome season! 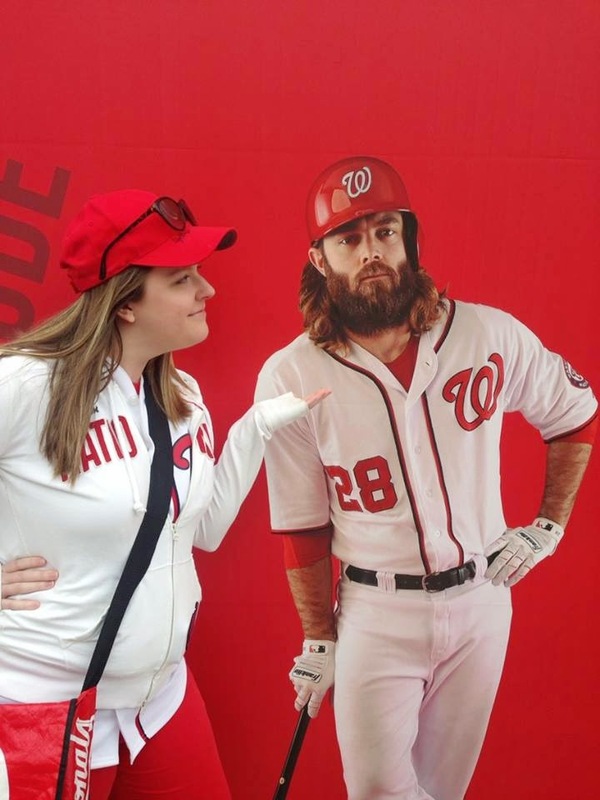 So Werth, how many homers are you going to hit this year? And I'm all like ...THIS... whenever you get up to bat! Annnnywayyyyy, now that you know all about my sports crush, let's move on! 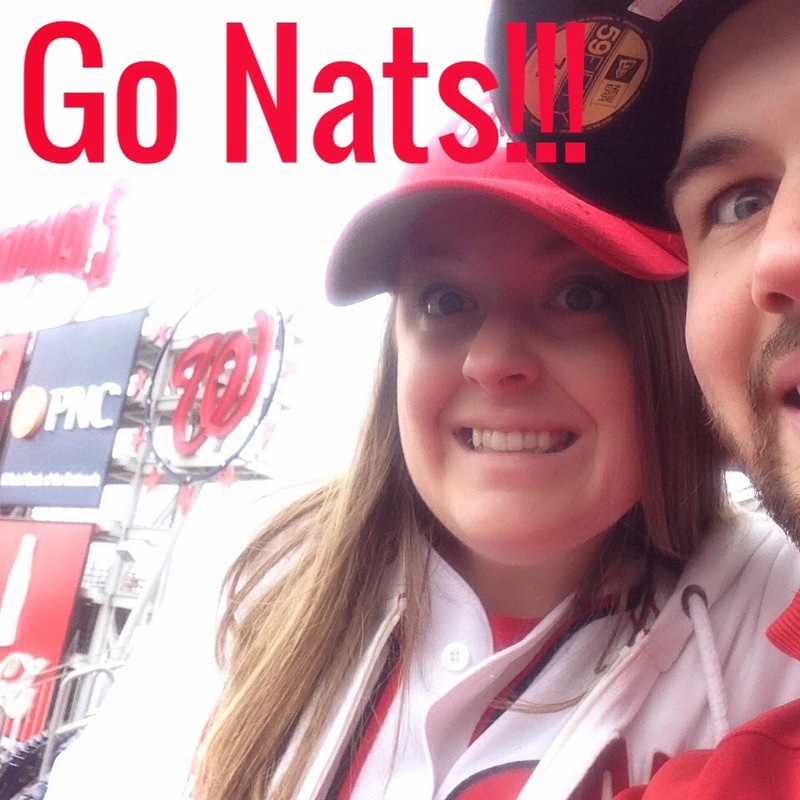 I'm pumped to spend a day in DC with the hubs tomorrow. We are stoked to check out the first District Flea of the season, and hope to score some fun goodies. Speaking of...I've got some pretty special stuff in the works! Something new that I'm hoping to launch very soon, so stay tuned for details! After the flea, I'm hoping to swing around the tidal basin to take in the cherry blossoms before heading home to work on some spring projects. I hope Spring has sprung in your world too and that you're back on the path to fun and adventure as the sun comes back to play! Can't wait to find some great deals tomorrow and share them with you soon. 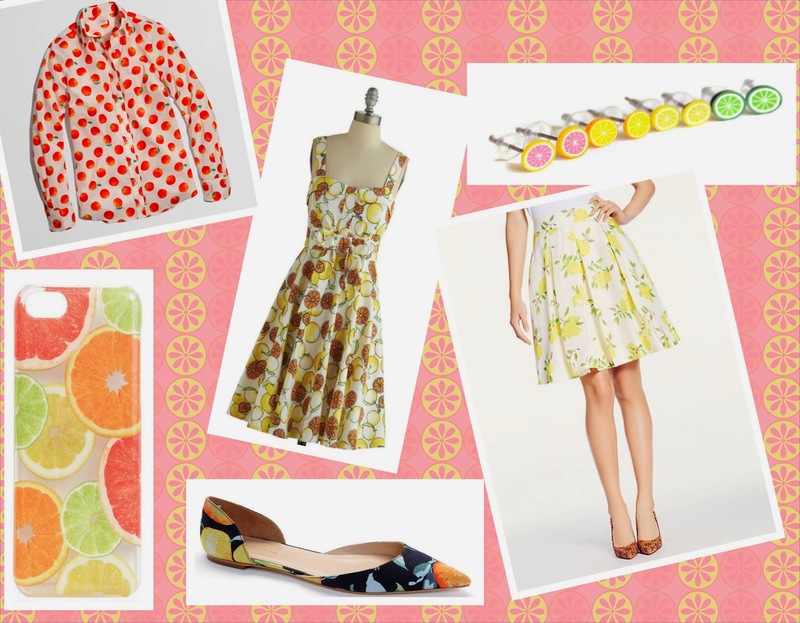 I've been drooling over Kate Spade and her "Painterly Lemon" print ever since it came out. This weekend while shopping with my girl I made my usual stop in J. 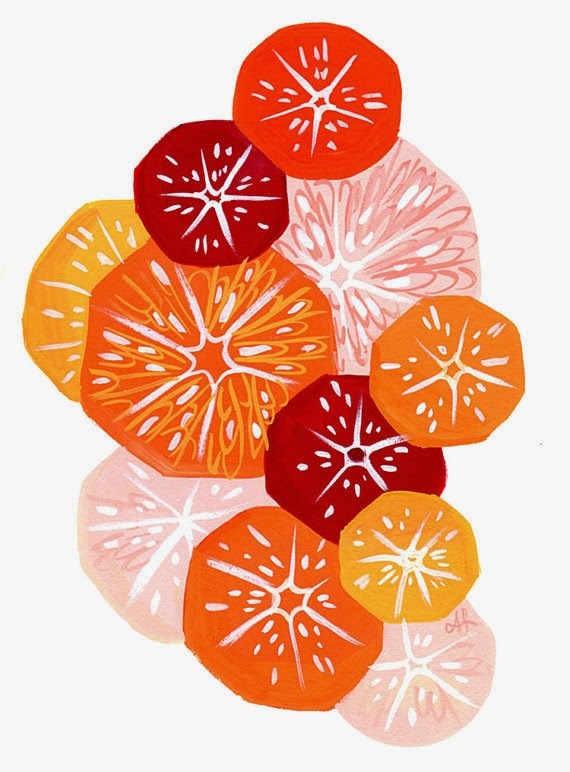 Crew Factory and was drawn to this sweet tangerine print (shirt above), and now I'm all about the citrus prints. I guess I'm ready to fast forward to summer already! This print needs to go in my kitchen! LOVE the colors. What about summer are you craving? 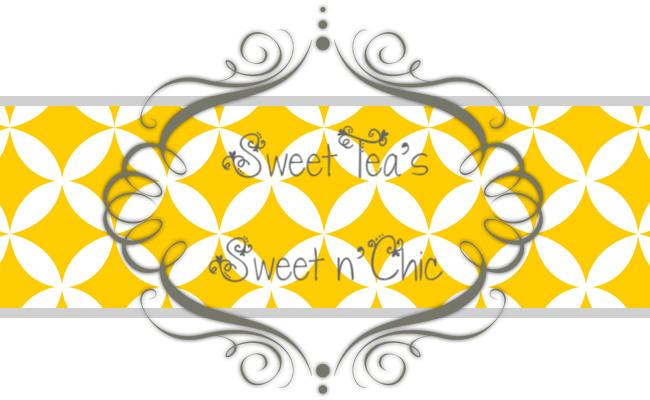 I live in the mix of sweet 'n chic!